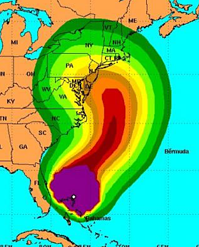 As you listen to the news about the devastating fires in Tennessee, tornado outbreaks in the Midwest, or destructive hurricanes pounding the coast of Florida, you may feel safe and sound here in Pennsylvania, especially if you have proper homeowners insurance protetion. It is true that we are relatively lucky when it comes to natural disasters; however, we are not entirely immune to them. 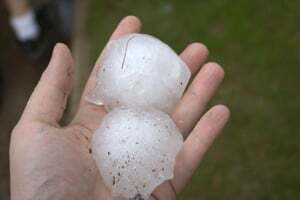 Pennsylvanians still face damaging winter storms, flooding, the occasional hurricane (Agnes in 1972 and Sandy in 2012), and even earthquakes (2003 and 2007 in Flying Hills), hailstorms (May 2014 in Berks County) and tornadoes (in 2015 tornadoes were reported near Reading, Montoursville, and Selinsgrove). Your first step is to create a home inventory, which is simply an itemized list of your possessions to help you establish what you have and what those items are worth. Your inventory should include photos, serial numbers, receipts, and any other pertinent information you have about the item. You can record the information on a sheet of paper or in an Excel or Word Document – whatever makes sense for you but do make sure that you store it in multiple places. Make several copies, having both a hard copy and an electronic copy are good ideas, and at least one copy should be kept outside of your home – electronically it can be saved to the Cloud, and hard copies can be stored in a safety deposit box at a bank. A home inventory is easy to create. Start in one room and list all of your possessions in that room, including make and model, features, purchase price, and a photograph. Then, go to the next room and do the same, and so on. It can actually be kind of fun to take inventory of all your possessions. If you do suffer damage from a natural disaster, this document will make the insurance claim process run more smoothly, and allow you to focus on the emotional recovery. The following steps may not only minimize the damage you incur from a natural disaster, they may even help you avoid minor insurance claims (which may increase your premiums), enhance the value of your home, and make it look nicer. Trim foliage – Thinning out trees and bushes can minimize or eliminate damage from wind, freezing rain, and fire. Standard homeowner’s policies usually cover damage from wind, fire, lightning strikes, and winter storms. However, not all policies cover damage from floods, sinkholes, or earthquakes. If you live near a body of water, you should talk to your agent about flood insurance. And keep in mind that the Federal Emergency Management Agency reports that 20% of flood insurance claims are from homeowners in moderate to low risk areas! File Your Homeowners Insurance Claim Promptly! If you do suffer damage from a natural disaster, contact your insurance company immediately to make a claim. The quicker you can start the claims process, the quicker you can get back to normal. 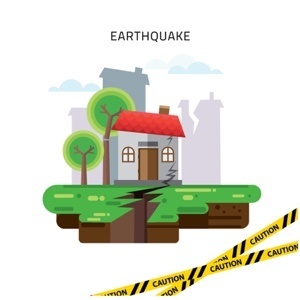 Now is a great time to review your homeowner’s policy to avoid any unpleasant surprises should a natural disaster strike your home. Contact American Insuring Group online or call us at (800) 947-1270 or (610) 775-3848, and we’ll be happy to review your policy to determine if you are properly protected against potential natural disasters in your area. Look! Up at the sky! It’s a bird! It’s a plane! No, it’s a drone! And it’s coming to a neighborhood near you. The Consumer Electronics Association estimates that consumer drone purchases this year will put 300,000 more recreational drones in the skies. And while many consumers are now eyeing these unmanned, remote-controlled aerial toys as one of their next purchases, they don’t necessarily want their neighbors to buy one. Furthermore, few consider whether their homeowners insurance will cover them for drone-related accidents. 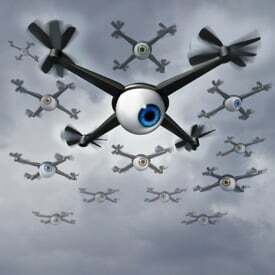 Three quarters of respondents were concerned that an unmanned drone could crash into their house. While the Federal Aviation Administration worries about the threat that personal drones pose to private and commercial aircraft, the insurance industry is concerned about their potential effect on home insurance. As more drones are sent skyward, there will be a commensurate increase in claims against their owners for accidents that cause personal injury and property damage. Many insurers worry that they will see a significant increase in recreational operators seeking coverage under existing homeowners' insurance policies. But will the drone operators’ homeowners’ insurance cover damages? The quick answer: probably. While the standard homeowners' policy provides coverage for damages that the insured becomes legally obligated to pay for bodily injury or property damage, this coverage may be limited by policy exclusions. 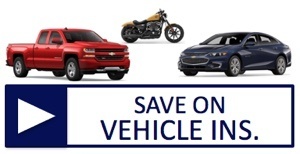 One of those exclusions is coverage for injuries or damage caused by the ownership, use, or maintenance of aircraft. “Aircraft” refers to any apparatus used or designed for flight, except model or hobby aircraft not used or designed to carry people or cargo. Many insurers, however, don’t make this exception for hobby aircraft. Since there are substantial differences in policy wording, one cannot assume coverage for drone use. Domino's is hoping to have drones deliver pizzas in the near future, and Amazon is testing them for deliveries as well. Agents are taking aerial photos for real estate listings, and home insurers are using drones for everything from underwriting to documenting damage from natural disasters. But keep in mind that none of these business applications will likely be covered under a personal homeowners’ policy, because those policies usually exclude business activities. Homeowners’ insurance policies also often exclude coverage for intentional acts. And it can be difficult to separate the intentional from the accidental in drone incidents. If a local jurisdiction deems invasion of privacy to be an intentional act, any claims against you may not be paid if your policy specifically excludes intentional acts. Drone operators need to look closely at the commercial-usage, "aircraft" and intentional-acts exclusions of their homeowners’ policy prior to liftoff. 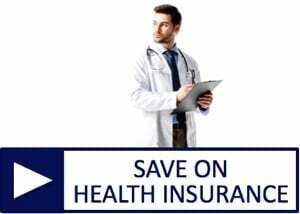 As with all insurance, the availability of coverage depends on the policy’s specific language – including the definitions, the exclusions, the exceptions to the exclusions and other conditions. Questions about drones and homeowners insurance? Call us! Before you send that new recreational drone on its maiden flight, contact American Insuring Group or call us at (800) 947-1270 or (610) 775-3848 to be sure that you are fully protected. Our independent agents represent a multitude of competing insurance providers, so we're well equipped to find you the right insurance at the right price, so contact us today. It's every homeowner's worst fear. Imagine… You pull into your driveway after a lovely evening with your spouse and as you approach your front door – key in hand - you see broken glass and notice that the door isn’t shut completely. For a few seconds, you’re confused. Then, you realize that someone has obviously forced their way into your house. Your heart starts pounding and your mind begins racing. Your home has been burglarized. What do you do now? You are now a statistic—one of the 3.7 million home burglaries that happen each year. Regardless of how much homeowner's insurance you have you will be angry, anxious, or maybe even panic-stricken. But there are actions you must take to minimize the effects of the burglary…and the order in which you do them is critical. In the above scenario, it is best to retreat into your car and dial 911. You can’t be certain that the burglars aren’t still in your house, and you don’t want to be the one to confront them. If you’re already in the house and certain that the burglars are gone, call the police, but don’t touch or disturb anything, as it might be key evidence. When the police arrive, walk through your house and make a list of the items that were taken, and take pictures of any damage that was done during the burglary. Make one copy of the list for your homeowners insurance company and give the other to the police. Within 24 hours you will need to file a report with the police. This puts the incident on record, which is the first step in filing an insurance claim. The report is also needed in the investigation, and this may lead to apprehending the offenders and recovering your property. File an insurance claim with your carrier as quickly as possible, while the details are fresh in your mind. The list of stolen and damaged property that you supply should include a value for each item and receipts, if possible. There may be an insurance adjuster assigned to your case, and any documentation--in addition to the police report--will help him or her work through the details. While FBI statistics show that only about 13% of break-ins are solved by law enforcement, filing a well-documented claim should enable you to recoup a fair amount of your loss. 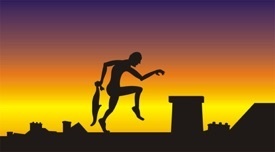 Once the burglary has been properly documented, you can clean up. Your emotional healing will begin with the physical act of putting things in order. Remove any appliances or furniture that can no longer be used, clean up anything that has been broken, and repair and paint over any damage to the walls. You might want to consider changing the previous look of a ransacked room by rearranging furniture or painting the walls a different color. All of this can be emotionally challenging, but these are important steps for moving on after a break-in. To ensure that your valuables are properly protected in the event of a home burglary, click here to contact us, or give us a call at (800) 947-1270 or (610) 775-3848 to review your homeowner’s insurance policy. Warmer weather has arrived and with it come thoughts of vacations spent lying on the beach, hiking through the mountains, or visiting friends and relatives. No matter what you decide to do with your time off, it is important that homeowners make provisions to insure the security of their homes before they go. According to FBI estimates, there are more than two million burglaries each year in the United States, and 65% of these are residential break-ins. It is no coincidence that these crimes occur at a 10% higher rate in July and August – the two most popular vacation months. Having a fun-filled vacation can provide joyful memories for a lifetime, yet a disastrous homecoming can just as easily taint them. Prepare for your vacation by taking a few home security precautions to insure that you are not added to these statistics. Homeowners insurance is your failsafe, but it's much better to avoid a breakin altogether. When faced with the subject of home security, many homeowners immediately think of a monitored home security system. With these systems, motion detectors and sensors send an alarm to a monitoring center during an intrusion. The center then reports the break-in to police. This is an effective method of deterring a home invasion while you are away. Keep in mind that installing the system can be expensive, and there is usually an ongoing monthly fee. Such systems can also lower your homeowners insurance premiums. While it isn’t the most common method of securing your property, hiring or negotiating with a house sitter is another option. • Don’t let the world know that you’re away from home. • Do not “check in” on social media from your vacation site or update your status before boarding a plane. • If you post pictures during your vacation, your friends will see all the fun that you’re having and thieves will see a perfect opportunity. Post them after you arrive home. • Never change your voicemail message to inform callers that you can’t take their call because you’re on vacation. • Don’t let mail and newspapers pile up. Stop delivery or ask a trusted neighbor or friend to retrieve them every day and, while there, to check your house for signs of unusual activity. • If you are going to be gone for more than a week, ask a friend to mow your grass. • Make sure to turn off your alarm clock. The incessant beeping may be heard outside your house and could tip off someone to your absence. • Use timers to turn lights and devices on and off. It will make it look as if you are home. • Shut and lock all windows on every floor. • Use deadbolts on all doors. • If the garage is attached to your house, be sure to lock the outer garage door and the door that leads to the garage from the house. • Fortify a glass sliding door by placing a steel rod in the lower track. • Keep all valuable items out of plain sight. • Criminals love hiding places, so trim any shrubbery that obscures windows and doors. • Trim any branches that are close to the house and could provide direct entrance to the upper floors. • Lock a detached garage and all outbuildings like tool sheds and workshops. • Put timers or motion sensor lights in the driveway or walkway. They can surprise and deter a potential burglar. Protecting your property and possessions in your absence is essential, and the time and money that is invested will pay dividends in the form of peace of mind during your vacation and a return to a secure home after it’s over. 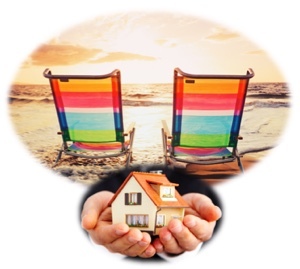 Having the right homeowner's or renter's insurance is also important for your peace of mind because it provides important financial protection in the event of a breakin while you are away. Contact us or call us at (800) 947-1270 or (610) 775-3848. We're independent insurance agents who will help you find the best house insurance at the right price. 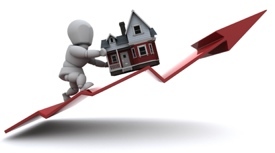 Home Prices Are Up. Do You Need More Homeowner's Insurance? Before we answer this question, you need to understand the difference between “market value” and “replacement cost value.” Market value is how much you should be able to get for your home if you were to sell it. This value is based on location, the value of the land, and other real estate trends. On the other hand, replacement cost is what it would cost to replace your home if it was completely destroyed – if you had to rebuild it from the ground up. 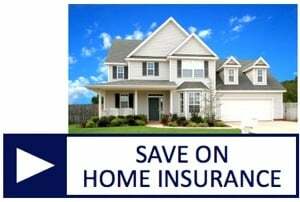 Why Did You Purchase Homeowner’s Insurance? Now think about why you purchased your homeowner’s insurance. Wasn’t it to protect you and your family against unforeseen disasters? If a storm rips the roof off your home, you want to be able to replace it. If your house is completely destroyed by a fire, you need to have the resources to rebuild it, so you and your family have a place to live. Plus, most disasters that can affect your home don’t affect the land itself. If a tornado blows through your home or a tree lands on your roof, the value of the land your home rests on isn’t affected. Therefore, you should insure your home for what it would cost to repair or replace it, not what someone else would pay for it. So, if the market value of your house increases because of the real estate market, there’s no need to re-evaluate your homeowner’s insurance. Plus, most homeowner’s insurance policies have an inflation guard that automatically increases the value of the property by 3-5%. When Considering Insurance on Your Home, Remember the Upgrades! Now, if you make improvements to your home, such as an addition or a major renovation, it can affect both the market value and the replacement cost. In that case you should contact your insurance agent, so you can make sure that your entire investment is protected in the event of a disaster. If you’d like to take a look at your homeowner’s insurance to be certain your home has sufficient protection, contact American Insuring Group at (800) 947-1270 or (610) 775-3848. We'll help you get the right level of quality insurance at the right price, quoting several competing insurance providers in the process. Wind storms and hail are known for causing severe damage to private property throughout the U.S. Although hail damage is more frequent throughout the Midwest and Great Plains states, the mid-Atlantic and Northeast regions are also surprisingly susceptible. According to State Farm, its 2012 wind and hail damage insurance claims cost the company and those insured over $3.9 billion combined. To view a series of photos showing examples of wind and hail damage for each of the states above, click here. Are You Covered for Wind and Hail Damage? Is your homeowner’s or commercial property insurance properly protecting you from the risks of damage due to wind, hail, and other forces of nature? Contact us today for an insurance check up. Chances are that your current homeowner’s insurance policy is weaker than you think in terms of the financial protection it offers. That’s because many insurers have been steadily changing their coverage to increase deductibles and to add new loopholes protecting the insurance company from excessive loss. To make matters worse, homeowner’s insurance rates have climbed 69% over the past 10 years and now average approximately $1,000 per year. Why the Big Homeowner’s Insurance Cost Increases? 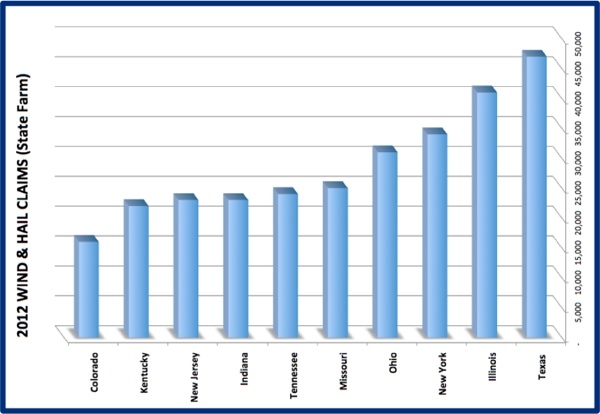 So why are insurers raising home insurance rates, cutting coverage, and increasing deductibles in Reading, Philadelphia, Allentown, Lancaster, and all across Pennsylvania and the US? Is it nothing more than unbridled greed? Hardly. Insurers are experiencing factors beyond their control that are driving up costs. 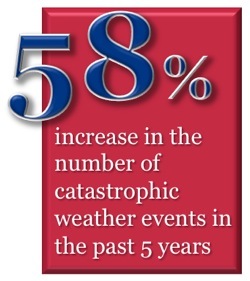 The biggest factor alone, the weather, has resulted in a 58% increase in the number of catastrophic weather events in the past five years vs. the prior five, climbing from 602 to 953 according to insurance industry data. Of course, along with each disaster comes a series of insurance industry payouts to policy holders. Another factor driving these changes is that states have denied insurers’ requests to increase their rates to the full extent needed to capture the true increases in weather-related payouts. As a result, insurers have resorted to shifting a much larger percentage of the cost of homeowner’s claims to their customers in an effort to remain solvent, and this has been done by cutting coverage. Many homeowners are on the hook for far more of the cost of repairs than they were five years ago. Homeowner’s insurance is among the least profitable forms of insurance, and, as they say, you can’t get blood from a rock, so something has to give, and that has been both the extent and cost of coverage. Because house insurance coverage varies widely among insurers, and given that the specifics of what is covered and what is not are often buried in the insurance policy fine print, it is wise to seek the advice of an independent insurance agent to help you make sense of the coverages, deductibles, and loopholes within policies offered by various insurance carriers. 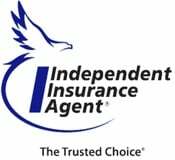 An independent agent is uniquely positioned to help you find the best policy for your needs and budget because he or she represents multiple competing carriers, rather than just one. Don’t rely solely on an insurance company’s reputation or marketing. Instead get the facts so you can make an informed purchase. Are you and your family in a precarious position? Arrange for a homeowner’s insurance review with an independent agent. Why not make an appointment today? You’ll sleep better knowing you did the smart thing. Call us at (800) 947-1270 or (610) 775-3848, or click below to contact us. Even if you have good automobile and homeowner’s insurance, you may be liable for excessive damages resulting from a major lawsuit. Consider what would happen if you were to injure a doctor, lawyer, or other highly paid professional in a car or other accident that prevented him from earning his regular income for the rest of his life. A court could easily award damages far exceeding the limits of your auto, watercraft, or homeowner’s insurance policy. Such damages could drastically alter your lifestyle for many years to come. That’s where umbrella liability insurance comes in. The right policy will provide the additional protection needed to withstand such an event. Higher-income individuals who cause an accident have a far greater risk of being sued as lawyers seek out those with deep pockets. In such cases an umbrella policy may provide the protection that could be the difference between maintaining your lifestyle vs. paying punitive damages out of pocket for the rest of your life. 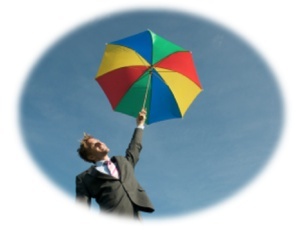 Umbrella liability insurance tends to be more affordable than other types of insurance because it comes into play only after your other insurance has been exhausted. For example, a $1,000,000 umbrella policy would cover up to an additional $600,000 of protection on a homeowner’s policy with $400,000 of coverage. The same principle applies to automobile and watercraft insurance. Increased savings may be found by purchasing your umbrella policy from the same insurance provider as for your home, car, commercial property, or watercraft. 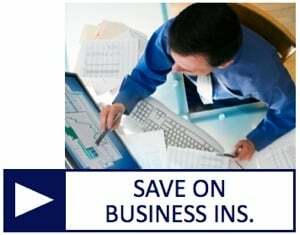 Are you a business owner or landlord? If so, you are at greater risk of incurring a lawsuit. An umbrella liability policy can provide additional protection against lawsuits from tenants, as well as from being sued for slander or libel by disgruntled employees. Do You Have an Adequate Umbrella Policy? 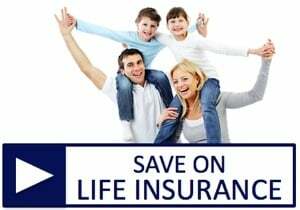 If you would like help in obtaining the right level of insurance protection then please click to contact us, or call us at 800-947-1270. According to WFMZ-TV: "Gov. Tom Corbett announced Thursday that Pennsylvania homeowners will not have to pay hurricane deductibles on insurance claimsstemming from damage caused by Hurricane Sandy. "Insurance deductibles could have added significant costs to Pennsylvanians already struggling to clean up and rebuild after Hurricane Sandy," Corbett said. "Insurance companies have deployed catastrophe teams to Pennsylvania and they have been advised that hurricane deductibles should not be applied to any homeowner's insurance claims."" October is known as fire prevention month. Why? Because homeowners in cooler climates like those common to Reading, Lancaster, Philadelphia, Harrisburg, and Allentown, PA are beginning to fire up their heating systems, including space heaters. Not only that, but the holiday season is right around the corner, starting with lighting at Halloween, and then extensive kitchen use at Thanksgiving, and continuing through Christmas and New Year’s Eve. Candles are beautiful when lit, but care should be taken avoid turning that beauty into an event resulting in a homeowners insurance claim. Candles start over 15,000 fires in the U.S. annually. The top 5 days for candle fires are: Christmas, Christmas Eve, New Year’s Day, Halloween, and December 23. Fire Safety - How Safe is Your Home? How knowledgeable are you and your family about fire safety? The National Fire Prevention Association lists 28 things homeowners should know to help prevent home fires. We know you need homeowners insurance, but we hope you never have to use it. Therefore, please learn and follow our simple fire safety guidelines to avoid home fires. 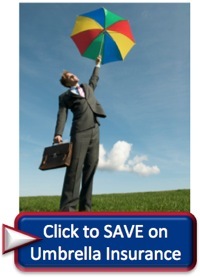 Want the guaranteed lowest prices on high-quality, affordable homeowner’s insurance? We quote many competing home insurance companies and guarantee the best deal on homeowners insurance, as well as insurance for your car, life, health, or business. Contact us today for a free, no-obligation quote, or click for an > instant homeowner’s insurance quote.